Update 2016 - Once again, bringing you the info that no one else talks about. A few days ago we made a video titled, when prices go too high frugal folk move out. We often wonder what the local (national) does when he can't find decent rental housing for his family? Do You Want This Kind of Price Inflation to Happen to Ecuador? Update 2016 - it was almost 5 years ago when we first wrote this article (November 2011) about higher prices in Panama. They weren't always high though. It only took just a little while for prices to spiral to where they are today. This has been happening in Ecuador: Salinas and Chipipe condos, Cotacachi houses, Manta condos, Puerto Lopez, Quito, Cuenca and other high foreigner traffic areas. And actually real estate market in Ecuador has always been overpriced, especially in the Andes. We see only a little change in the RE market from 5-years ago, unless its resells from foreigners targeting foreign buyers; However in rents, foods, plane travel, tourist services, restaurants, local Mercados, etc, prices have inflated and some drastically, like the rents have in Cuenca and certain coastal communities. 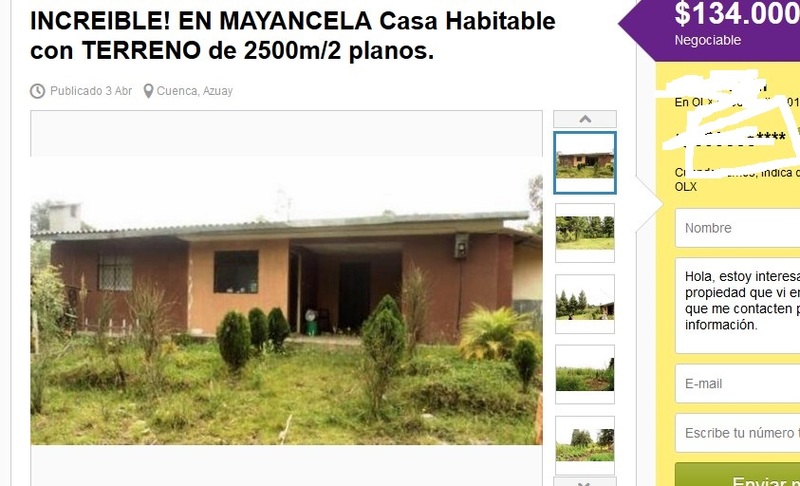 We used to joke around that you couldn't even buy a shed in Myrtle Beach South Carolina for $150k, and now you can't even buy a shed in Panama for $150K Well, I guess that joke in our family has come to have some truth to it in Latin America now. Panama Realtor is promoting this shed for sale as “priced to sale” property! It may be priced to sale for those who truly have a purpose for such a structure in the middle of nowhere. 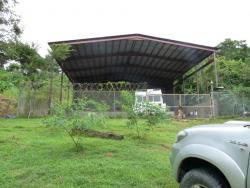 Who is really going to buy this shed on a 3,643 m2 lot (less than an acre) in some spot, away from everything in Panama? It is not even all the way enclosed in. And don’t think any of the farm equipment, boat, or the goat come with this shed. All you get is the dirt floor on almost an acre of land. After clicking the link above take a look at some of the other ridiculous prices now in Panama from this realtor newsletter. Check out the rents!! We're wondering how the average Panamanian can afford living in their own country of birth? Why are we showing you this? Well, this could and probably will happen to Ecuador. Update 2016 - It's already happening in well trafficked areas. 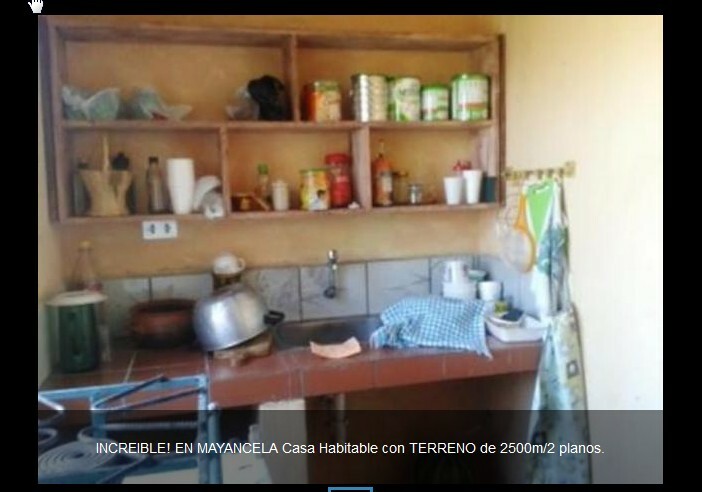 Rents have doubled in Cuenca and Quito; and some of the resells we are seeing on the coast like in Salinas and Chipipe are outrageous! We're shaking our heads..."Simply silly prices!" This is still a 3rd world country but people are behaving as if its Myrtle Beach South Carolina! We've been closely watching the market since we arrived and some of the stuff is totally off the wall. We're certain there are many foreigners stuck in their real estate right about now. To be able to get any kind of profit margin from property investments, you have to be one of the first people on the scene. You've heard of the saying, "Early bird gets the worm", right?" We used to be pretty excited about the housing market in Panama about 8 to 10 years ago (now in 2016, it would be 15 years ago) when you could buy a fixer upper house on an acre of land for 35K, or a fixer upper condo in Panama City for just $25K. Seriously! Panama only just 8-years ago was cheaper than Cuenca is now. Update 2016 - problem is the foreigner enclaves of Panama (Chiriqui Province) that were once touted as cheap are now not only crime ridden but expensive. They're also stuck in their property. They can live there but be in fear of getting robbed and violently. We just updated an article about crime in Panama with new stuff happening in these gringo enclaves according to someone who has lived in this community for 9 years! Click to read "Why foreigners minimize crime in these paradise cities". Now look at Panama. What has happened with Panama is gringo inflation. Our dream of moving to Panama did not materialize because we just were not yet ready to pick up our life and move to a foreign country. Moving your whole family to another country takes careful planning and absolute due diligence, otherwise it may not work out. So be sure you do your home work. And be on the lookout for higher rents and housing prices in Cuenca and the coastal areas of Ecuador in the coming years. That was five years ago (2011)...and this is today (2016). Update 2016 - We're not picking on the gringos but its difficult to not make the gringo the focus of inflation in paradises all over the world where foreigners flock. Foreigners aren't the only ones who raise prices; they contribute to it BC they are willing to pay the over-inflated prices that the owners and RE agents bestow upon them and then they brag about how cheap it is. They pay erroneous deposits and continue to compare to back home. That's how gringos contribute to inflation in these "so called' best places to live cities. Now to end this post I'd look for a shed for sale in Ecuador on 3/4 of an acre to compare with Panama but Ecuador doesn't have any sheds. SERIOUSLY. For a full week we scoured our rental resources looking for a casa with a shed in the yard and there aren't any! So we'll show you something else. I picked this one to show you because the ad says incredible price! Are you ready? This tiny cement block house can be built for $15,000 (look it has a tin roof) on a little over half an acre is $134,000. That is incredible alright. kitchen in the casa - incredible! And this is the $134,000 kitchen. Let's show you a foreigner resell now. Are you ready for this? 3. and its in an area (Esmeralda Province) where foreigners are warned to stay out of according to their own government advisories issued from the State Travel Website. They do not allow their own embassy personnel to go here. And this house is targeted for resell to gringos. 4. This home is not secure...expect to be robbed at some point, if you are a foreigner living in this area of Ecuador. 5. This area of the coast is the poorest of the whole Ecuador coast. There are oodles of houses in this area for less than half that, why? Because its too dangerous to live there. There's all kinds of really bad deals like this one in Ecuador. And gringos in Panama that ignored those issues and just had dollar signs in their eyes, buying property and then doubling the price for the next gringo, they're needing an underwear change right about now. It's a big scary world out there. Heck you can even get a better deal than that in the states right now. We aren't saying don't buy in Ecuador because there are still deals out there if you know what to do, where to go and speak Spanish and when you buy from the local people and not from a website in English. Buyer beware...that's all we're saying. For the ins and outs of the whole of the Ecuador coast, check out the DIY Ecuador Coast Guide. And rental prices in well trafficked areas are continually going up so be prepared for that when you get here. Cuenca certainly is not the cheap retirement haven it was once touted to be just a few years ago. Until we inform you again with what's happening in Ecuador and elsewhere abroad, you might want to read these articles about the real estate market in Ecuador. 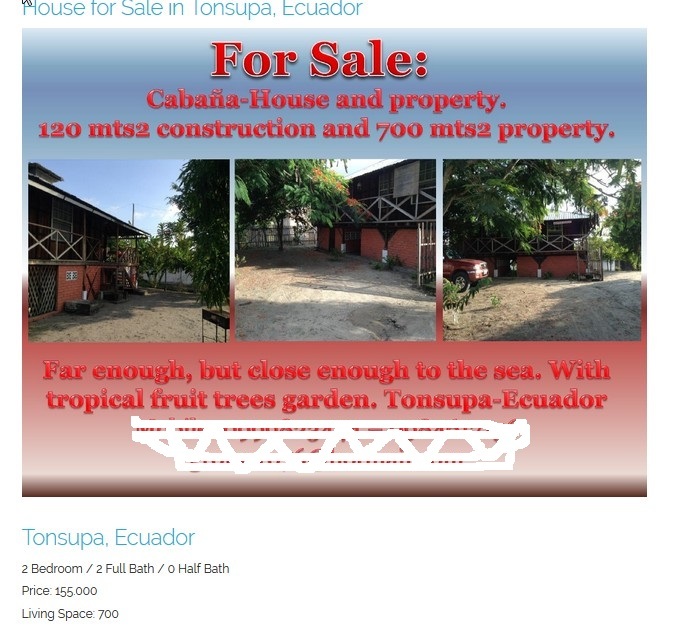 Buying Real Estate in Ecuador? (we know most foreigners are not) Read this First! Give the economic collapse a few more months here in the U.S., and you actually might be able to find a place in Myrtle Beach for $25,000. Of course, I wouldn't recommend it. This nightmare gets worse every day. We could hit Mad-Max levels in a pretty short period of time. Makes me want to start saving for the airfaire!!! Always bargain in Ecuador!! See it a a moral duty, as collaborating with the local economy. Besides, Ecuadorians think that those who don't bargain are just Dumb, and you don't wanna be considered dumb, do you? lol. Well said Adrrian. Straight from the horses mouth, we like that. Thanks for commenting. Great article, now about Myrtle Beach. I lived there for 4 years 2010-2014 and believe me I don't think you would want to live there. There's so much that tourists do not see, know about and keeps hush hush. A very high crime rate for a city of it's size including murders, drug users and dealers galore, prostitution, corrupt city officials and the whole place is going downhill with little upkeep of many things, hotels etc. Murrells Inlet and Surfside Beach right beside of Myrtle are still "ok" for now but Myrtle, I would never live there again period. Never "lived" in Myrtle beach. Always a short term visitor. Didn't like Myrtle Beach, we always went to North Myrtle, which is much quieter and family oriented.